Robin Williams died two summers ago at age 63, but his memory lives on in the hearts of millions of fans for whom he made the tragicomic experience of being human relate-able. He was one of Hollywood’s most sought-after comedians, but his laughs were always bordered with pathos and pain, perhaps because his inner self was inextricable from the personas he depicted. Film after film, Williams turned in some truly sterling performances that are impossible to forget. 1. Good Morning Vietnam. This movie earned Robin Williams his first Oscar nomination. Based on the real-life experiences of armed forces DJ Adrian Cronauer, the performance by Williams was amazing, especially since he improvised many of the radio broadcast scenes on the spot. 2. Dead Poets Society. Another Academy Award nomination came Williams’ way for his role as an inspirational teacher whose lessons went far beyond textbooks. 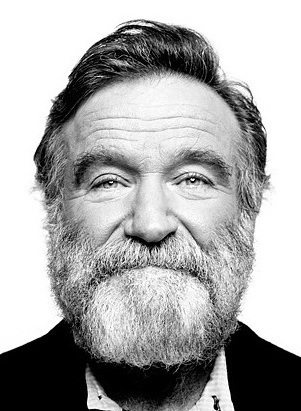 “Seize the day, boys, make your lives extraordinary” – a line delivered by Williams in the film left the phrase Carpe Diem etched on the memory of an entire generation. 3. Mrs Doubtfire. Williams was absolutely delightful as the unemployed actor Daniel Hillard, who desperate to be with his kids, disguises himself as a female middle-aged British nanny. He had us rolling with laughter, but also crying buckets of tears, as the classic family saga unraveled on the silver screen. 4. Good Will Hunting. As psychologist Dr. Sean Maguire, Williams was simply brilliant, helping Matt Damon as Will Hunting, reach his true potential, not only as a genius, but also as a great human being. This time, the Academy could not hold back what Robin Williams truly deserved. 5. Boulevard. This was Williams’ final curtain call on screen. Playing a banker whose conformist life changes dramatically one night when he decides to go out for a drive. Williams infused the role with his characteristic empathy with flawed characters, leaving the audience wondering if a different turn could have changed the course of events in the actor’s real life.